Brochures are an essential part of a business or service, as they are easy and the most cost-effective tool for promoting and branding. Fitness brochures are getting quite popular now-a-days for the promotion of a gym or a trainer, as the people are getting more and more conscious about their health. 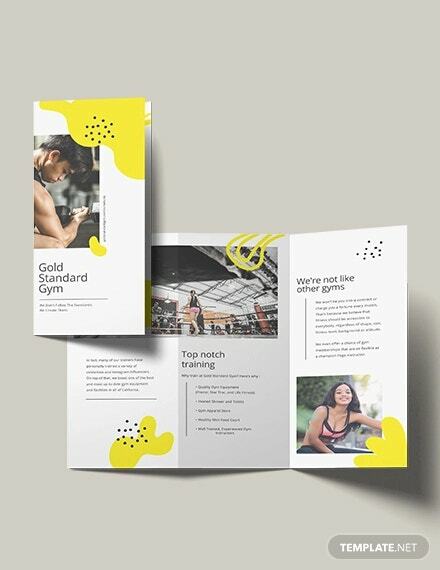 Gym brochures are for the promotion of a gym service and it briefs local audience about the various utilities and facilities that the gym provides. You can also see Brochures Templates . 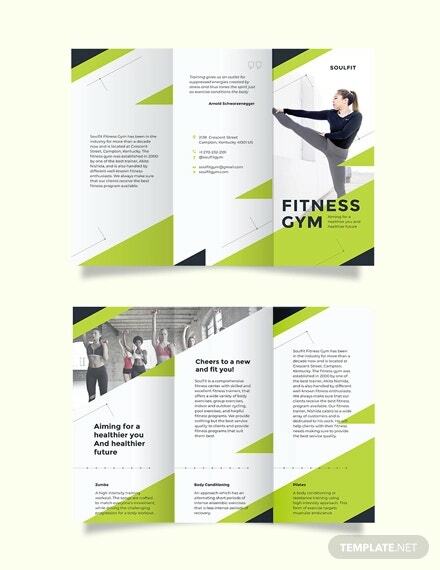 This fitness gym brochure is in A5 in size with 0.25 bleed area. It has 300dpi resolutions with CMYK color mode. The layers are easy to edit and the photos in the brochure are also changeable. 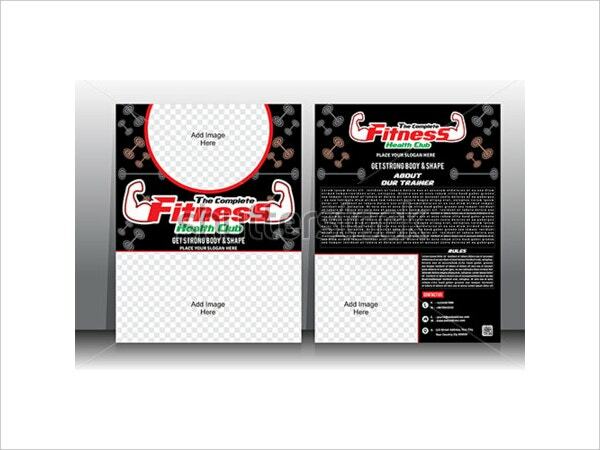 This A5 size fitness and gym brochure is of 24 pages. This brochure has 300dpi resolutions and a bleed area of 3mm. This brochure is easy to customize and print ready. 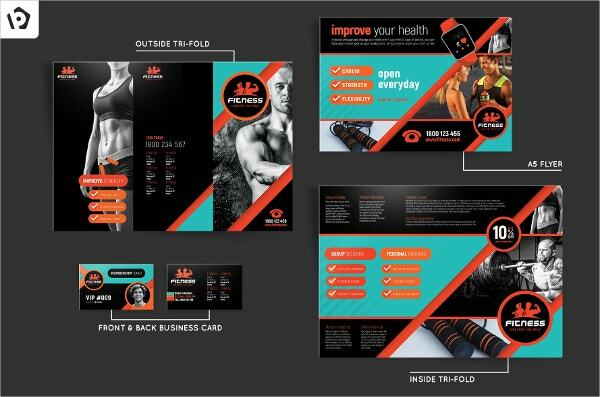 This template can be used as a brochure, flyer, magazine cover and poster. The template consists of blank areas for adding images. The text on the template can also be changed. 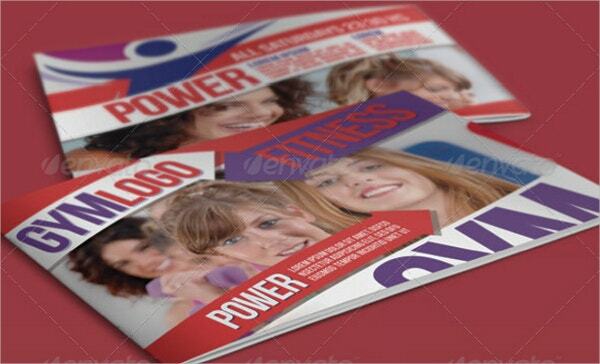 This fitness or gym brochure comes in bi-fold and 300dpi resolutions. This brochure is print ready with CMYM color mode and .25 bleed setting. 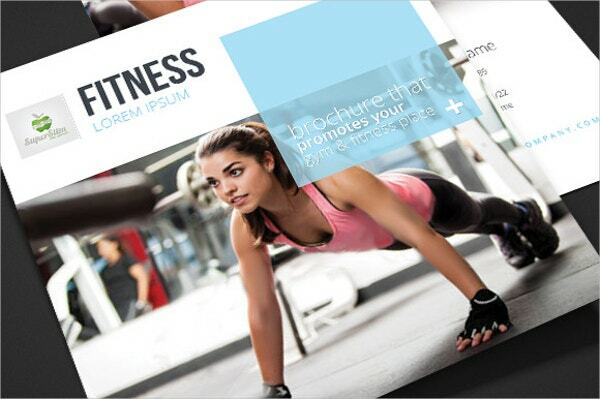 The brochure is layered and easily editable. 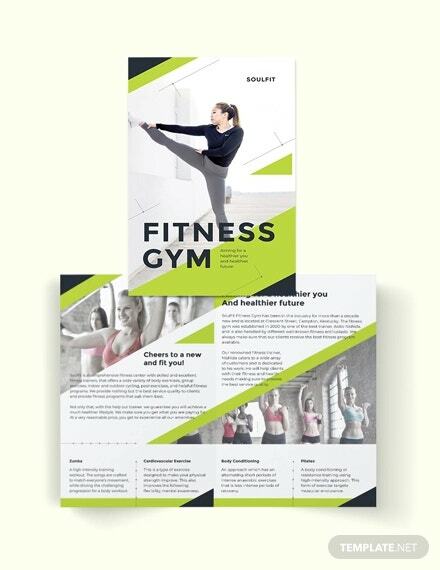 This fitness brochure comes in tri-fold and square shape. The brochure is ready to print with 300dpi resolution and CMYK color mode. It is layered and organized and easy to customize. You can also see Photography Brochures. 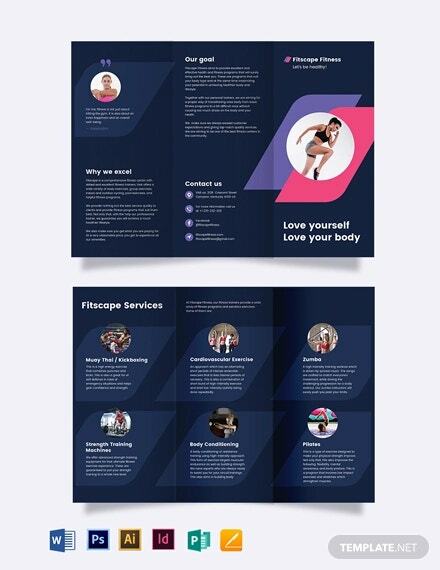 This is a tri-fold fitness brochure design. This brochure design is available in high resolution and several sizes. The design is easily customizable and you can add text and images of your choice. 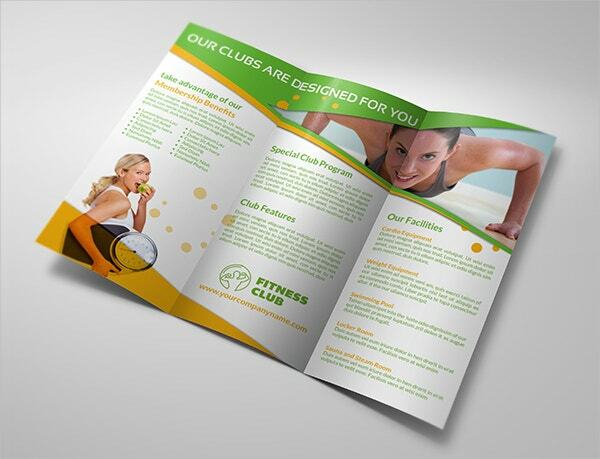 This brochure is for fitness clubs and is ready for print. The brochure is of 22×30.5cm with 5mm bleeds. The color mode used here is CMYK with 300dpi resolutions. This brochure has gym fitness guidelines. It is of A4 size with 3mm bleed. The format used is paragraph style and is easily editable. The brochure is made of 300dpi resolutions and has CMYK color mode. 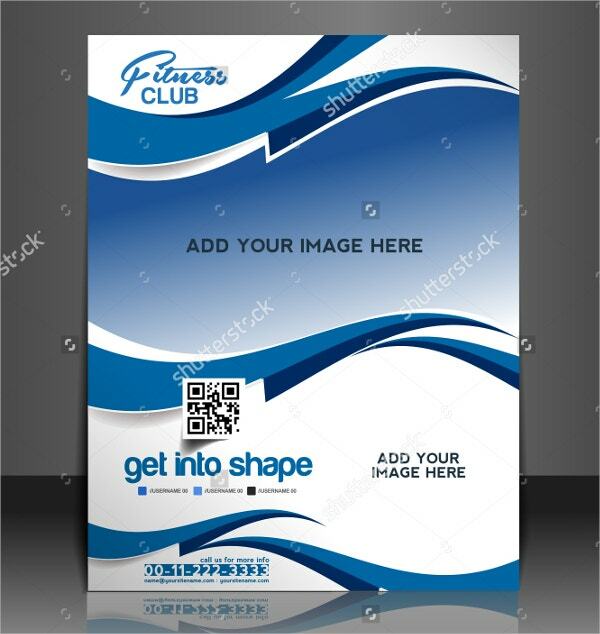 This fitness and gym brochure is available in high resolution and several sizes. The text is editable and there are spaces given to add the images as per the requirement of a particular project. 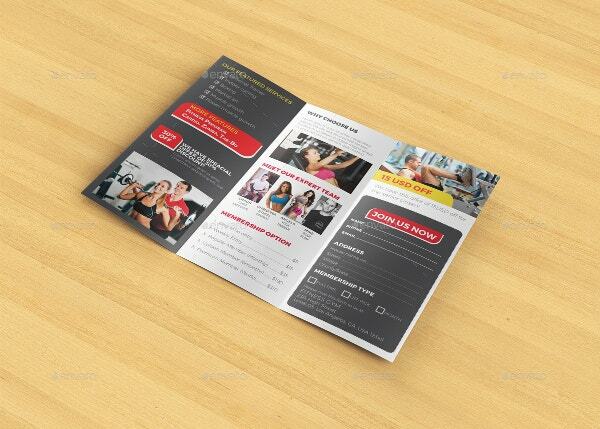 This tri-fold brochure for fitness and gym is a 300dpi resolutions print ready file. 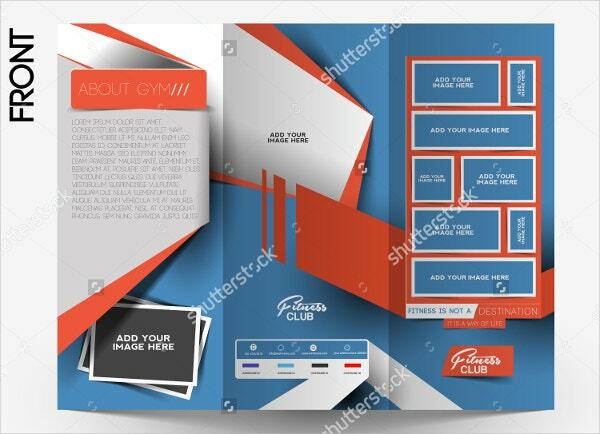 The brochure is designed in different layers and is easily editable. It is 8.5×11inch in size with .25 bleeds. You can also see Chocolate Brochures. 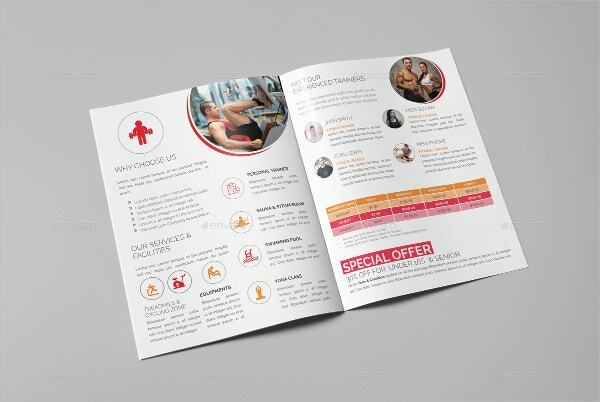 This brochure template is perfect for gyms looking for a new image. It contains essentials information as the gym name, contact and the amenities and facilities they provide. The text can be changed as per the requirements. 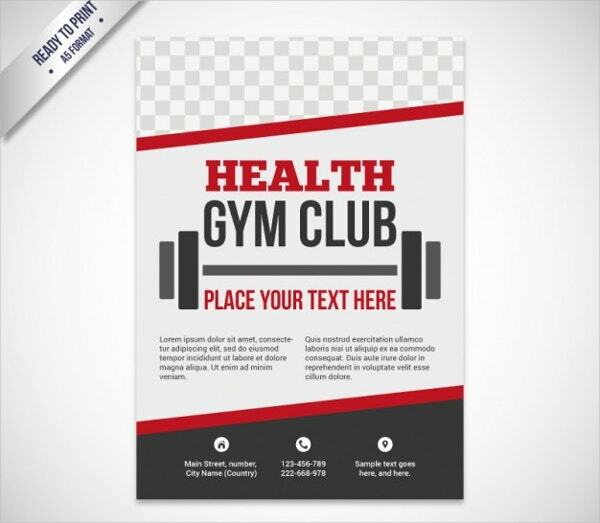 This brochure template is for promoting a health gym club. This template is available in A5 format and can be easily customized. This file is ready to print and available for free of cost. 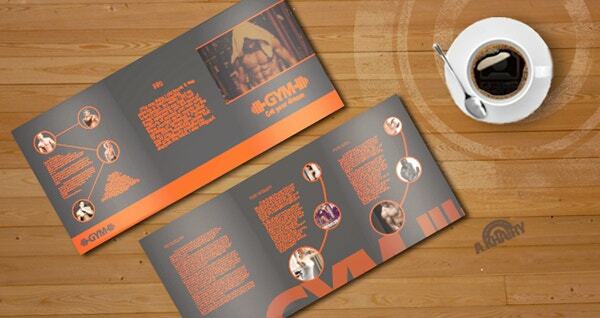 This is a gym brochure pack contains different styles and sizes of brochures for different requirements. The brochure contains A5, A4, A3 sizes and is available in both photoshop and illustrator file formats. 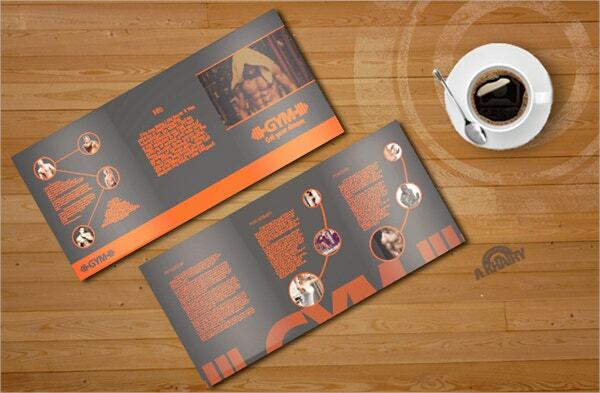 This is a tri-fold brochure available in A4 size with 3mm bleed. It is a ready to print file with 300dpi resolution and CMYK color mode. The photos can be easily changed here. 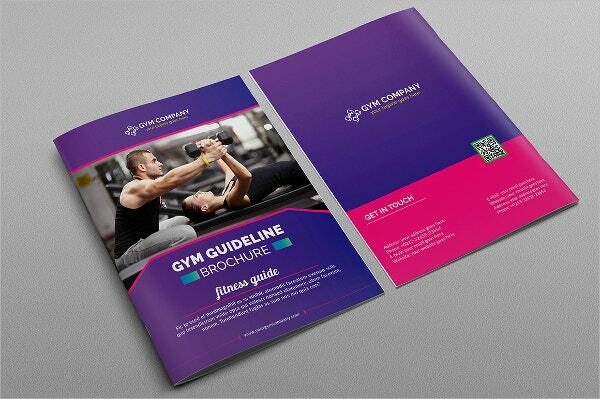 This tri fold brochure template is 11×8.5 inch in size with 300dpi resolution. The brochure contains fully editable text and is color customized. The brochure is developed in layers and is print ready. Personal wellness is becoming a top priority for many in this competitive and stressful environment. 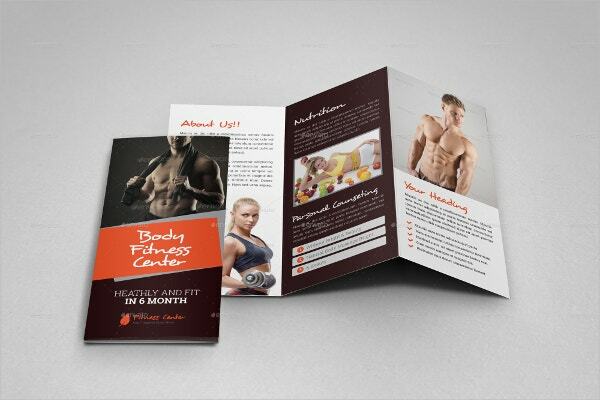 Fitness brochures like gym, spa, health club and yoga brochures are a tending marketing tool to attract local audience. 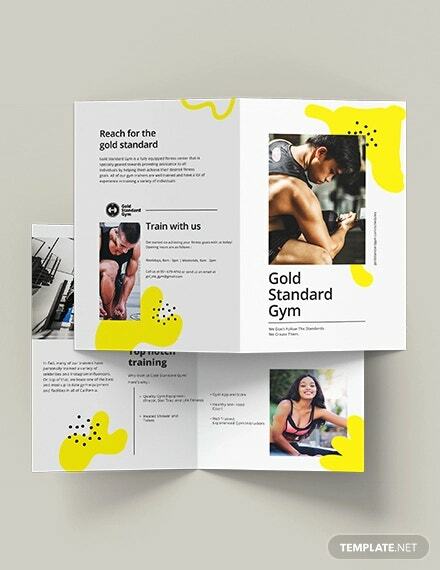 Brochures should contain clear, essential and effective information without any irrelevant content and the style should be unique and eye catching. You can also see Bi Fold Brochures.